Walmart and Unilever made big news at this week’s Global Climate Action Summit. With forest loss is still on the rise (the highest levels of tropical tree cover loss occurred in the last two years), these two consumer-product giants just committed to taking big, concrete steps toward addressing the complex reality of global deforestation. Companies need to be at the table. The announcement reinforces that companies can and must be part of proving the concept of jurisdictional approaches globally. The jurisdictional approach concept is still relatively nascent and needs proven examples for how it can work in specific places. This week, Walmart and Unilever are building on their previous commitments to jurisdictional approaches by announcing specific actions in Sabah, Malaysia, and encouraging engagement in other regions such as Mato Grosso, Brazil and North Sumatra Indonesia. By partnering in these first-mover jurisdictions, leading companies can help build models that other regions and private sector actors can follow. Creating a successful model that can be adapted and scaled is the difference between a good theory and a revolutionary environmental success. 2. Jurisdictions are ready for corporate investment. Unilever committed to help sustainably certify 60,000 hectares of palm oil production and restore two ecological corridors and two riparian reserves in Sabah, Malaysia. These efforts link to Sabah’s broader jurisdictional strategy to certify 100 percent of the state’s palm oil production to Roundtable on Sustainable Palm Oil certification by 2025. 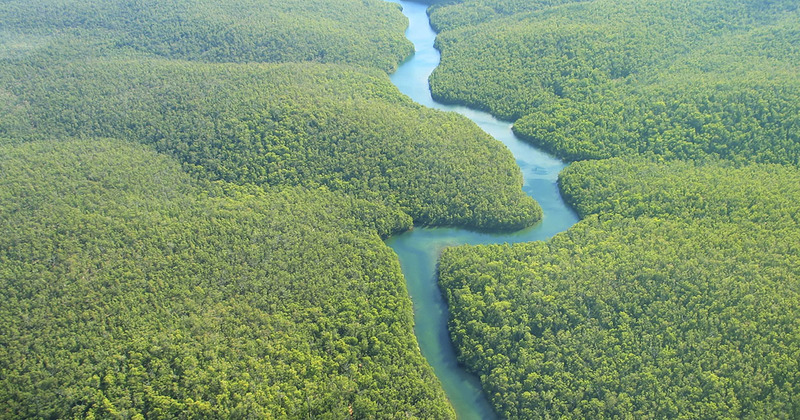 Walmart also announced its commitment to help connect suppliers to opportunities to support jurisdictional approaches in deforestation-prone regions. Some of the preliminary jurisdictions include Sabah, Malaysia; Mato Grosso, Brazil; and North Sumatra, Indonesia. By demonstrating what jurisdictional action can look like, Walmart and Unilever are paving the way for others to join in. Certainly, actions will look different for each company and region, but this example offers insight into how companies can join this important new effort. 3. We’re here to help! There’s plenty of support available for companies wishing to get involved. The announcement was made possible through collaboration between four global environmental NGOs: Conservation International, Environmental Defense Fund, The Nature Conservancy, and World Wildlife Fund. As major collaborators of Walmart’s Project Gigaton, our organizations aligned on messaging about jurisdictional approaches as part of Walmart’s forest strategy. We recognize that we are working toward the same outcomes and that our voices are more impactful when we can align our messages. If you source soy or beef from South America, consider engaging in Mato Grosso’s Produce, Conserve, Include (PCI) strategy. Given that Mato Grosso is Brazil’s largest agricultural producing state, there is a good chance your operations impact the region. Engage in the Corporate Action Group. This group will connect approximately four times per year to discuss items pertinent to the PCI and help companies get exposure to on-the-ground and large-scale opportunities. Support one or more priority projects that drive toward PCI goals. The PCI has identified priority projects that are ripe for replicability and scale. Companies can provide technical or financial assistance to these projects to accelerate and enhance environmental benefits. Commit to source from PCI projects as a way to send a demand signal that sustainable development increases access to markets. Voice support for the PCI strategy to your supply chain partners, in communications to the public, and in policy conversations in Brazil. Reach out to Katie Anderson at EDF to learn more about the PCI and how to get involved. There are other opportunities as well. If you source palm oil from Sabah, Malaysia or North Sumatra, Indonesia, reach out to Lloyd Gamble (World Wildlife Fund) or Jessica Furmanski (Conservation International) respectively to learn more about jurisdictional initiatives in those regions. This is just the beginning of an exciting new chapter of corporate leadership on forests. As we approach 2020 deadlines, every company needs to assess what additional tools they need to meet their goals and halt deforestation for good. We applaud the important step that Walmart and Unilever have taken, and encourage other companies to join them!